CULLMAN – After splitting their matches with Randolph and Guntersville earlier this week, the Cullman Lady Bearcats welcomed Winfield and Austin on campus for their 2018 home opener. Cullman and the Lady Pirates of Winfield got things started. The Lady Bearcats were able to fend off Winfield in two sets to take the first match 2-0. In set one, Cullman kept a safe distance between themselves and the Lady Pirates for most of the time. Thanks in large part to three aces, a kill and a block from junior L.G. Evans, the Lady Bearcats pulled away in the first set, 25-19. Senior Caroline Hollingsworth also stood out in the first set, posting three kills and a block. Cullman stayed in control for most of the second set as well. Evans added two more aces and another block to her night, while sophomore Kada Milne collected an ace, a block and two kills in the 25-17 win. Austin and Winfield duked it out next and after the Lady Black Bears defeated the Lady Pirates 2-0, Cullman returned to the floor to face Austin. 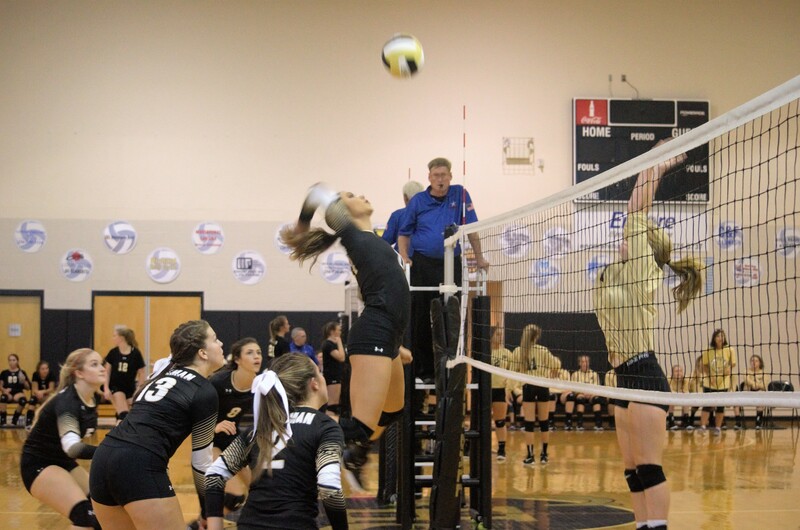 Both Lady Bearcats’ sets with Austin ended up being nail-biters, but the Black and Gold managed to come away with back-to-back wins and the match. In the first set, Cullman edged out the Lady Black Bears 25-23 with the help of another standout performance from Hollingsworth. She collected two blocks and three kills, including the winning point, and Milne had another big set of her own, posting two aces, a block and a kill. The second set was nearly as tight as the first, but Cullman was able to put the match away with a 25-21 win. Freshman Kaina Thomas was the standout in the second set. Thomas racked up three kills, two blocks and an ace in the Lady Bearcats’ win. After her Lady Bearcats picked up a pair of wins in their home opener, Head Coach Meagan Cagle touched on some of the areas that she still wants to polish up at this early point in the season. Overall, Cagle was very pleased with the way the Lady Bearcats performed on their home floor and is starting to see some players step up. Cullman will hit the road this Saturday for the Albertville Invitational.